Teaching our kids to be vulnerable is tough. To a teenager, being vulnerable means opening yourself up to judgment, ridicule or even bullying. And if there is one thing that seems to be common amongst teens, it is the great need to feel accepted. But as an adult, well into my forties, I still feel the need to feel accepted too. And the truth is, bullying does not discriminate. It happens at every age. 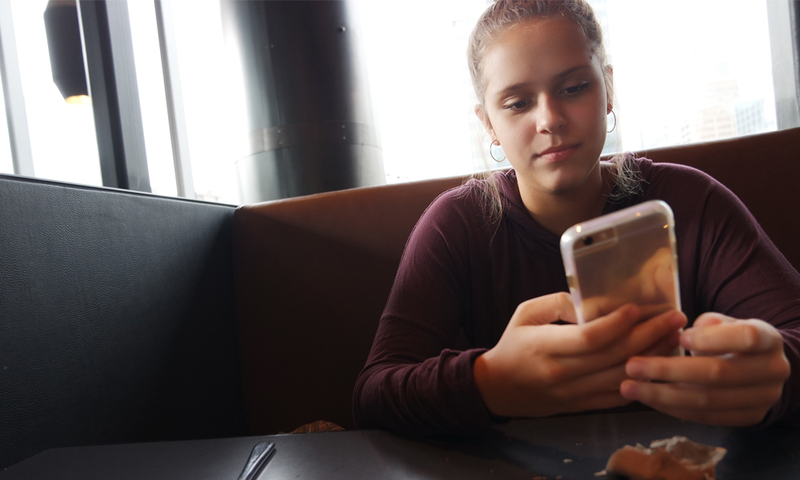 And with the advent of social media, bullying has become easier for those that feel less-than to lash out at others—everyone has access to anonymity via fake usernames on apps or online platforms. As a blogger whose success is reliant on being relatable and vulnerable, I have to show up whether I feel like it or not. Sometimes it’s hard to dig deep, especially when there are trolls out there, ready to pounce on my every move. I’ve been called a terrible writer. A copy-cat writer. A wannabe. I’ve had trolls comment on my parenting style. Basically calling me an unfit mother, solely because of a stance I’ve taken on an article I’ve written. Why does it matter when I don’t value these people? Because I am human and it stings. But being vulnerable is the magical way to show up in a way that no one else will. It’s my unique gift and no hater can take that away. So I have to continue though because I know that if I don’t show up and write and share, I will always regret letting those trolls get to me. Especially when they don’t matter to me personally. Our lives are not a perfectly curated Instagram-12-square. And bullying does not discriminate—successful people are bullied too for being imperfect. The larger the personality, the bigger the following and subsequently, the more haters they probably have too. When my daughter was a pre-teen, she started a social media account of quirky videos—some of her singing and some of her just being a kid. Her sparkling and confident personality was apparent in the clips she created, and she loved doing it. I was so proud of her for being self-assured. But then she got a little older and entered high school. Soon she realized that many kids already knew her from her online presence. And they weren’t kind. She was teased by kids she didn’t know and immediately became embarrassed, second-guessed herself, and deleted most of her content. What was so heartbreaking about it was that a few bullies, who were likely kids she wouldn’t ever have become friends with anyway, caused her to stop being creative. That thing that made her unique and special, was the very thing that she ended up hiding. Every time I feel like quitting because of other’s opinions of my work, I remember that I have to show an example for my daughters. I’ve censored my work and stopped being vulnerable all together at times, and all it did was close me off from other things. No one gets anywhere by being exactly the same as everyone else. And trolls that take the time to criticize are probably battling their own demons. Showing vulnerability is one of the best ways to own your individuality. Walking through life with blinders on is not possible, so when you actually see someone choosing vulnerability, it is refreshing. Our kids recognize this too, in theory. But teaching them that they can lead the movement, they can show up as their imperfect selves, is something that we need to remind them of daily. Imperfect isn’t shameful. It’s empowering. Love this! It applies to people of all ages!